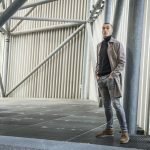 Frank Wright ShoesLatest ProductsSneak peak into our new season, landing soon! This season we thought we’d shake things up a bit here at Frank Wright. Don’t worry, we still have your favourite classics but this season they have a more fashionable edge. Gum soles, eyelet ties, and seasonal materials to take you into the summer with style. 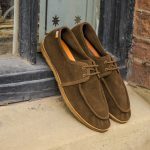 Options include Dartmoor, Arabian and Orlov featuring the softest suede with a durable sole, these shoes are great to team with your summer suit or as a great addition to your summer holiday outfits. 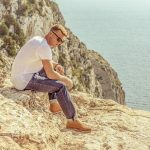 The Orlov features suede tassels upping the style stakes for any man stylish enough to team with chinos and a linen shirt on the beach. 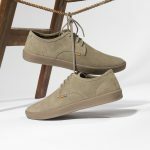 With athleisure still on everyone’s radar this season, Tigers is a lux suede trainer with a cup sole ideal for everyday. This clean silhouette is key to the vibe of the shoe, allowing you to wear with anything you desire. 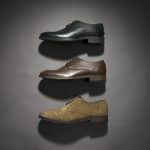 Classic hero silhouettes Vogts and Walker made from polo leather and oiled suede are a go to for smart casual footwear. 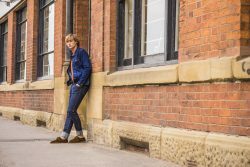 Ideal for every occasion the chukka shape is here to stay! Keep checking our website for more styles dropping this season.